Perla relates to parents and clinicians alike, having experienced the NICU firsthand. Perla Scott has been a member of the Neotech family for nearly nine years. She’s such an integral part of Neotech that it feels like even longer. She joined the team in 2010 as an Account Resource Coordinator. Her path, however, almost took a completely different route. She initially applied for an accounting position. During the interview process, it became clear that her personal history and disposition made her an ideal choice for the account coordinator position. Perla is a “NICU Mom.” Like most preemie-parents, she is well-versed in the ongoing needs of her daughter and heavily involved in the health care decisions that are made within, and outside the hospital walls. She can easily related to the needs of the parents. Perla’s 1lb 11oz survivor, Brianne (who spent over 100 days in the NICU), is now in high school. Brianne is dreaming of college applications and Driver’s Ed classes. Which Perla isn’t quite sure how to feel about yet. 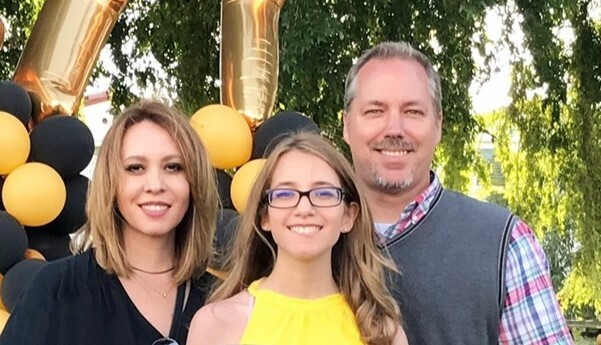 Perla (left) with daughter, Brianne and husband, Brian. Due to her wealth of knowledge and dedication, Perla now serves as Neotech’s Domestic Sales Supervisor. She manages an entire team of Account Resource Coordinators and Home Health Specialists. Perla’s own experiences as a NICU mom–along with her drive and passion for her work–has made her an incredibly valuable asset. She’s as knowledgeable about our product, like the NeoBar and NeoBridge, as the clinicians who use them. We’re extremely lucky to have her! Away from Neotech, Perla is a huge Comic-Con fan. She enjoys spending time with Brianne and going on hikes with her husband, Brian. She also enjoys getting out to Boston when she can to visit her older daughter, Vanessa, who recently graduated from college.